The new laptop got packed and everything else on the boat tucked away preparing for an arduous crossing from Nanaimo on Vancouver Island to the main land. 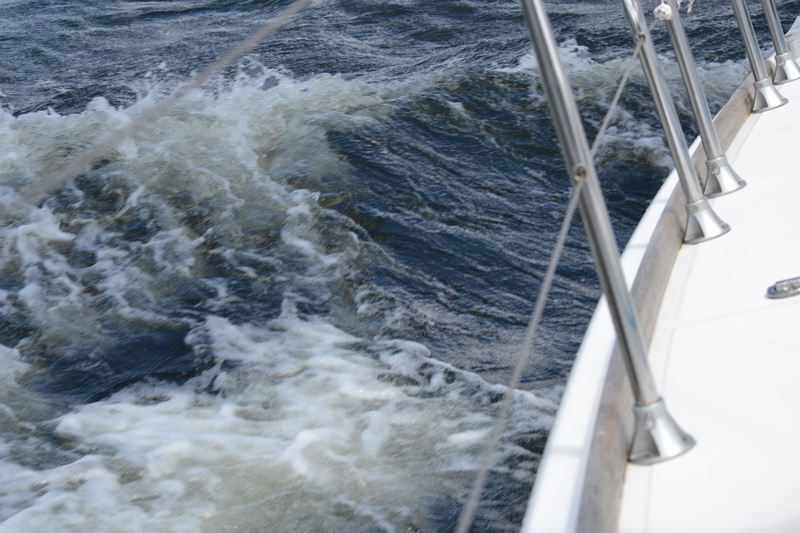 We were expecting lots of rain, strong winds and lumpy seas. It started raining at 7:55 and we left at 8:00 am, testing the new bimini with a strong shower. What pleasure to remain dry in such weather. Soon the skies cleared partially and we sailed across in one tack with a huge rainbow above Cape Lazlo, lots of sunny breaks and very dark black clouds far enough that we did not get wet again. 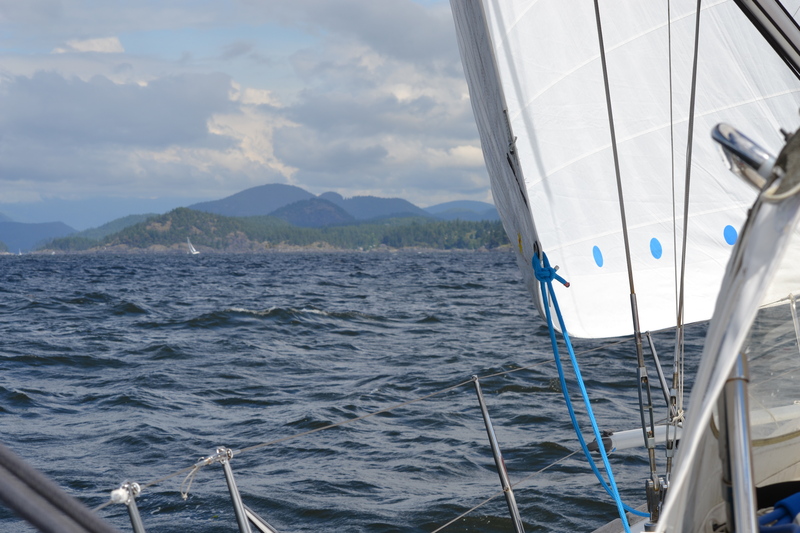 The winds were 6 to 18 knots and we sailed all the way under full sail with a South South East Wind backing to South East and almost neutral currents. 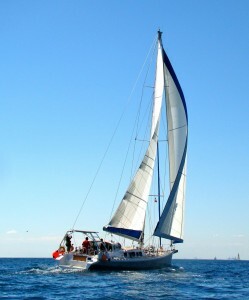 Our speed almost reached 9 knots under sail. A great time on the water. 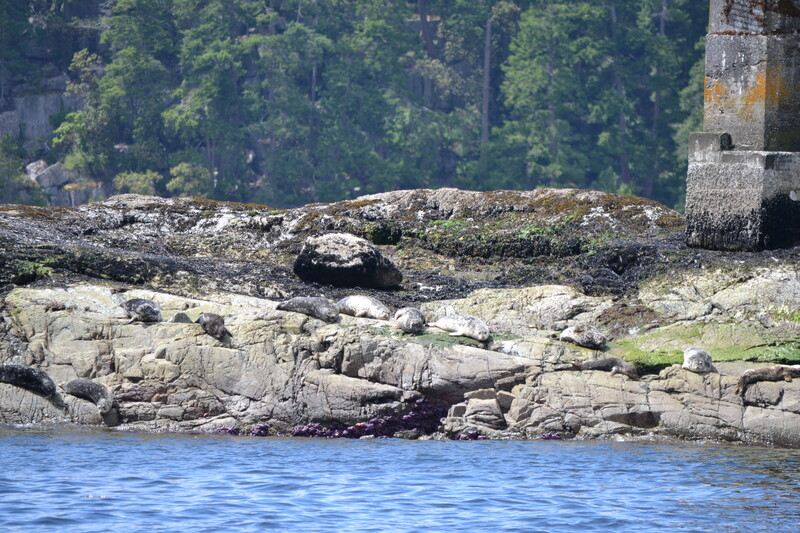 We passed Lasqueti and Texada Islands in the distance, then the marvelous white sand beach and cliffs of Thormanby Island entering Pender Harbour greeted by seals taking the sun on the rocks high up to be safe from the transient killer whales that are around this area this time of year. 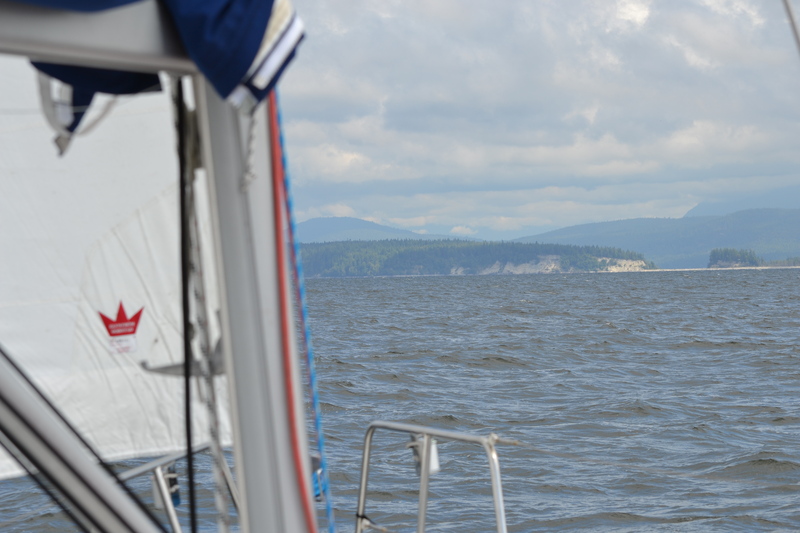 We are anchored safely in Garden Bay between the outstations of the Seattle Yacht Club and the Royal Vancouver Yacht Club. Dunnery had a fun paddle through some small rapids that he could not negotiate again against the current so he ended up portaging the red kayak not wanting to wait for a turn of the tide. Now the best of the day, burgers and live music at the Garden Bay pub, always a treat! 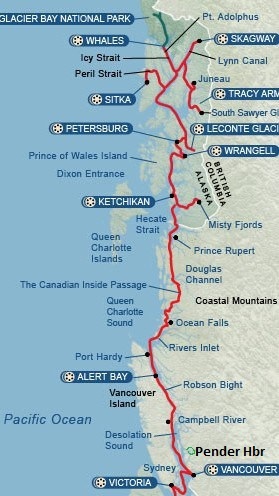 No blog for the next few days, no internet in Desolation Sound. 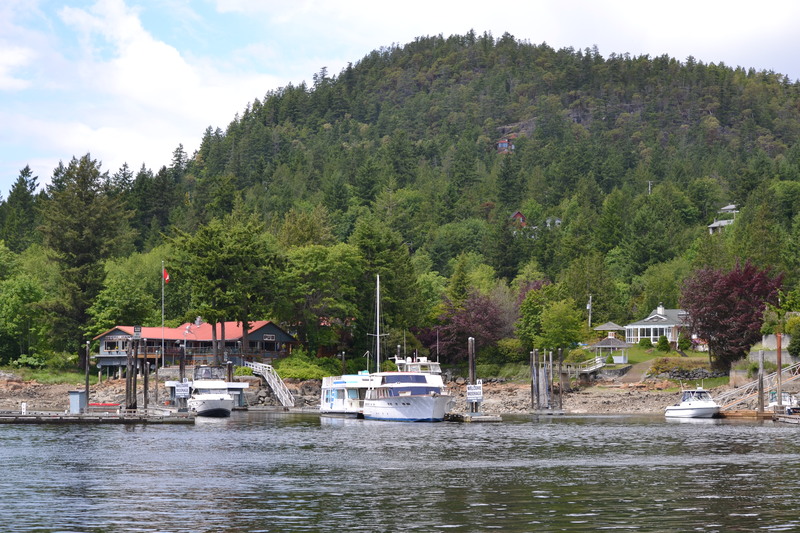 This entry was posted in The Log and tagged Garden Bay pub, Pender harbour, sailing, Thormanby Island. Bookmark the permalink. Enjoying your voyage through you descriptions and pictures.